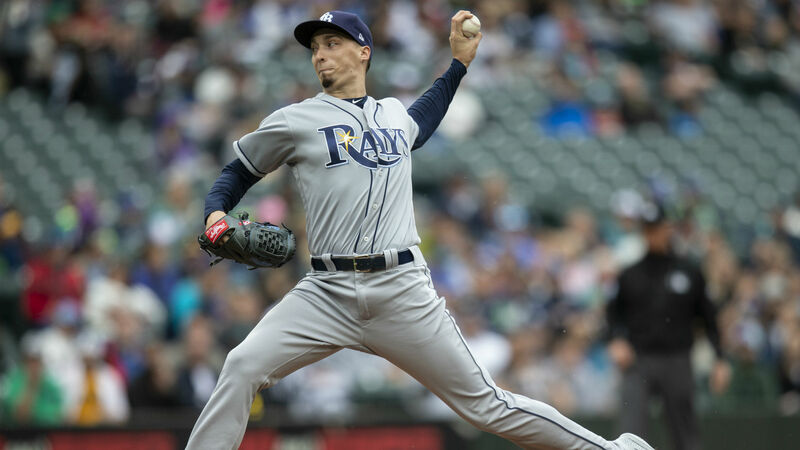 Rays ace Blake Snell became the first pitcher to reach 20 wins earlier this week, and he has a fan in former teammate Chris Archer. Archer was dealt to the Pirates in a blockbuster trade before the July 31 trade deadline this summer. Archer was one of the main advocates calling out voters for failing to make Snell an AL All-Star starter, and he’s back in his corner. Snell is currently 20-5 with a sterling 1.97 ERA and 200 strikeouts in just 167 innings pitched this season. At 25 years old, he’s developed into one of the most explosive pitchers in MLB. Though the Rays (85-66) are basically out of the postseason chase, Snell has helped the undermanned team stay in the chase. His breakout season afforded Tampa Bay the luxury of trading away Archer and getting MLB-ready pieces from the Pirates. Pitchers rarely win MVPs, and almost certainly would have to win the Cy Young as well to qualify, and Snell is no lock for either award. Clayton Kershaw in 2014 and Justin Verlander in 2011 are the only pitchers to claim MVP honors since 1992. It seems unlikely Snell will claim the MVP award this season, but Archer certainly has a point: small-market players need love too.